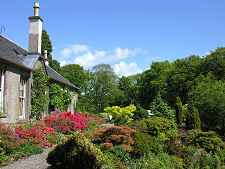 Geilston Garden can be found at the north west end of the village of Cardross and three miles south east of Helensburgh. It stands on the inland side of the A814 coast road in a slightly elevated position that offers excellent views over the River Clyde to Port Glasgow and Greenock. 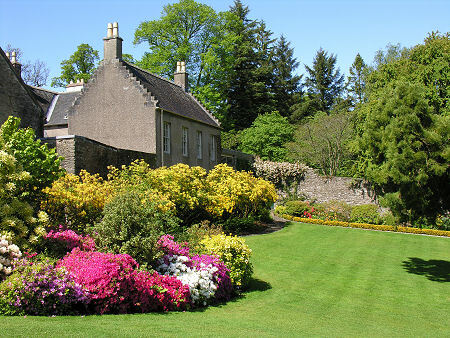 What you find at Geilston are a series of differently styled gardens around the focal point of Geilston House, which is not open to the public. 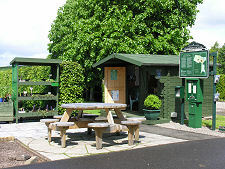 From the car park you pass the small visitor reception and shop before entering the garden itself. On entering you need to choose the order in which you wish to view the gardens. 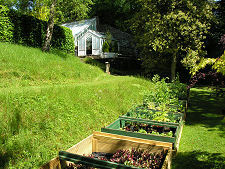 Head left and you start in the vegetable garden: head right and you find yourself at Geilston House and its walled garden. If we assume that you head for the latter, you first pass on your left Geilston House's restored stable block and the square doocot standing in front of it. Beyond this are lawns sheltering under mature trees, and beyond these is Geilston House itself. Attractive planting takes place on all sides of the house, but the highlight is the walled garden to its rear. 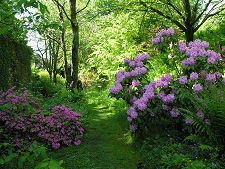 This descends from the house into the gentle valley of the Geilston Burn and offers a spectacularly colourful display. 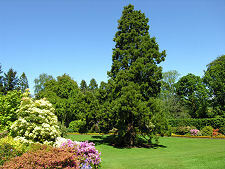 In the centre of the lawn is a 100ft tall Wellingtonia (Sequoiadendron giganteum). 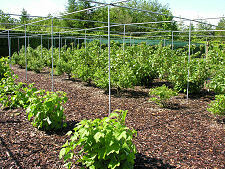 The walls around the garden have been cultivated with espalier trained apple trees and a variety of climbers. 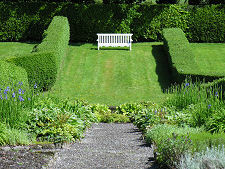 There is also a shrub border, a herbaceous border, and a heather garden. 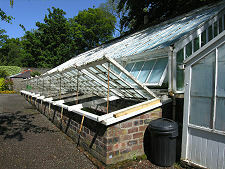 At the far, lower, end of the walled garden is a line of greenhouses and coldframes, while nearby is a potting shed carrying the date 1797 on the door. The garden wraps around the east side of the house, at a lower level following the line of the Geilston Burn. This was originally a hen run, which today has become a series of intriguing wooded areas whose carefully controlled wildness offers a striking contrast to the greater formality of the main part of the walled garden. The garden at the side of the house continues to the south east where it becomes a paddock before ending at the site of an old mill. 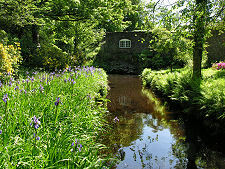 To the north of the walled garden is the mill pond. This feeds the Geilston Burn by means of a small waterfall. If you follow the line of the burn west you pass through attractive areas of trees and shrub to the rear of the stable block and old tennis court. This brings you close to the north east corner of the vegetable garden, which offers a striking contrast to both the formality of the walled garden and the informality of the surrounding areas. 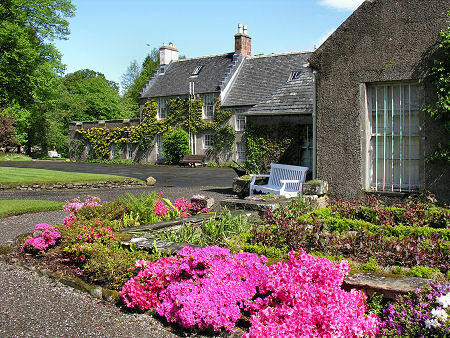 The garden at Geilston House dates back to the late 1700s. 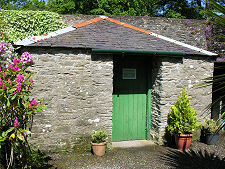 It is not known exactly when the walled garden was developed, but it presumably already stood here when the potting shed was built in 1797. The earliest part of the house you see today was built in 1766, though the estate dates back to the 1600s and there may have been an earlier house on the site. Geilston House was built for a Glasgow businessman, James Donald, who had made his fortune importing tobacco from Virginia. At the time it was becoming increasingly common for wealthy Glaswegians to buy estates along the Clyde, and Geilston was only one of a number developed along both sides of the river. In 1805 the Donald family sold Geilston House to Major General Thomas Geils, whose own family had rented the house in his boyhood. The Geils continued to live at the house throughout the 1800s. Two mortars in the grounds are thought to have been captured by Major General Geils at the Battle of Corunna in Spain in 1809. In 1922, Geilston House was sold to a Glasgow iron merchant, James Hendry. His daughter lived here until her death in 1989. She bequeathed the house to the National Trust for Scotland in 1983, on condition her companion, Margaret Bell, could continue to live here until her death. 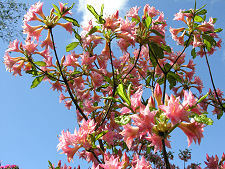 Miss Bell died in 1997, and Geilston Garden opened to the public for the first time in April 1998.